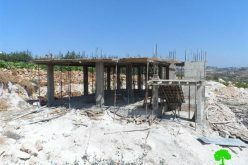 Israeli occupation forces submitted house demolition orders to seven Palestinian families living in the village of Qatanna, located northwest of Jerusalem, under the pretext that they were built "without proper licenses inside the land of Israel." These forces gave the owners of the houses 14 days, starting on September 14, 2002, to carryout the demolishing order on their own, an action that would leave more than 70 people homeless, 45 of which are children. Otherwise, the occupation forces will carryout the demolishing and would charge each family NIS 9099 (about $ 2,050) as demolishing fees. "This land came to us through my dad's inheritance from our grandfathers who worked in it, cultivated it and lived off of it. We did the same and our children will also do the same." "My father continued to cultivate and harvest the land even after the occupation of 1967 without any intervention or interference by any Israeli authority." In 1977, Mr. Hussein Taha built a house after obtaining the proper licenses from the Israeli Military Commander's Building and Zoning Department in Beit Eil. In 1978 the three brothers, Jamal, Ahmad and Musa Yousef Al Faqeeh, built three separate houses using the above-mentioned licenses. In 1979, their fourth brother, Yousef, built an additional house after obtaining similar license from the same Israeli authority. This means that the building process took place in a legal fashion.
" In the same year, me and my brothers were summoned to Al Muqata in Ramallah to meet the so-called Captain Eili Zahma. He claimed that our houses were built without proper licenses. We assured him that his claim is a false one. He ended up going to the location and saw the licenses himself. He told us that we should have no problem as we do have the appropriate licenses." In 1983, the Israeli Ministry of Interior (IMI) issued orders to evict and demolish the houses of the six brothers (sons of Mr. Ahmad Yousef Al Faqeeh) under the pretext that they do not own the land and that the houses were illegally built. As such, the brothers issued a map of the land and the houses. These documents, along with the ownership deeds and Captain Zahma's testimony, were submitted to court. 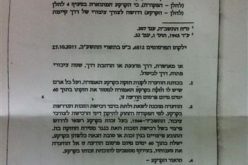 The legal process took six years when, in 1989, the court ratified the demolishing orders with an embedded stay of execution for ten years during which the owners of the houses has to work on issuing building permits from the Matiya Yahuda Regional Council which has jurisdiction over the land. 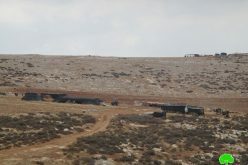 In so doing, the court system and the IMI dealt with the issue as if the disputed land is within the boundaries of Israel which gives a clear indication of the effectiveness of the pressures induced by the Israel Land Authority upon both the legal and executive branches of the Israeli government. The issue here is that of a case of a non-Jewish defendant who got transferred from the corridors of the Civil Administration in Biet Eil in Ramallah (which deals with all issues relating to the occupied Palestinian territories, including Qatanna) to Matiya Yahuda Regional Council which has jurisdiction inside Israel. The court system acted in collusion with the Regional Council in that it went against the legal fact that the building permits held by Al Faqeeh family are legal and can be overturned only through a specialized committee made up of relevant ministries, not by the court. The ruling of the court maintained the status quo of the houses and made it strenuous for Al Faqeeh family as they were prevented from adding even one squared meter to their houses. One of the brothers could not build a bathroom, despite the excessive need for it, due to the ruling. Moreover, as time passed by the families multiplied and naturally grew which increased their need for a suitable housing without being able to build any additional facilities. Facing the pressures of the Regional Council, the IMI and the court, Al Faqeeh family managed to get a master plan for both the land and the houses and filed for licenses only two months before the end of the ten-year period. This was done through their engineer Mr. Munther Al Najji and their lawyer Nita'a Ammar. 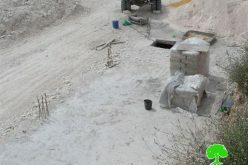 On March 9th, 2000 (after the end of the ten-year grace period), three D9 bulldozers owned by the Regional Council destroyed three sections of the 2-kilometer street that connects between the village of Qatanna and its adjacent sister village Abu Gosh and goes through the above-mentioned houses. Some official documents indicated that this street was built in 1933 while other residents affirm that it was built during the early days of the British Mandate. The bulldozing of the street caused a great damage to the water and phone lines, which led the local village council to repair it within a week as it served more than 300 residents. After the destruction of the street, the IMI sent Al Faqeeh family demolishing orders for the seven houses. The lawyer of the family headed to the Central Court in Jerusalem to appeal the court's original order which was issued on August 20th, 1988. The Court gave itself a six-month period to find a suitable solution for the issue. At the same time, the lawyer asked the court to give the families a grace period of 60 days if it decided to demolish the houses. The six-month period passed by as did the year 2001 without any court ruling. Yet, the bulldozers of the Matiya Yahuda Regional Council destroyed, once again, a large portion of the road, phone lines and water pipes isolating, in the process, more than 35 families of the villages from the outside world as indicated by the head of the village's council. 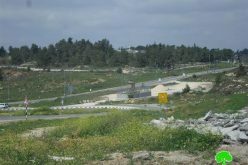 It is worth mentioning that the bulldozing of the above-mentioned road was meant to clear the way for the takeover of large areas of the lands of Qatanna, especially in its western mountain where Israeli forces uprooted 1500 olive trees and cut off a similar number of Romanian olive trees. A number of the uprooted olive trees were replanted in the streets and gardens of the colonies of Ma'ale Hamishah, Haradar, Nattaf and others. Moreover, Israeli occupation authorities photographed more than 12 houses in the region of Wad Al Madina (Appendix B) located at the outskirts of the colony of Haradar which was established on lands expropriated from the village of Abu Gosh. The road after destruction by Israeli bulldozers. Destroyed water pipes can be seen. Mr. Abu Isma'eel Al Faqeeh indicated that on September 14th, 2003, an official from the Israeli Land Bureau (ILB) – which bought the land from the Matiya Yahuda Regional Council – came to the village accompanied by a large force of regular and border policemen. He submitted eviction and demolishing orders to Al Faqeeh family. The orders indicated that the members of the family has to carryout the demolishing on their own within a 14-day period starting from the day of order submission. Otherwise, the ILB will force the eviction of the houses and demolish it on the expense of the house owners who will be forced to pay a fine of NIS 9099 each. In response, the seven families hired the lawyer Mohammad Dahla to take legal steps to prevent the demolishing. Prevented from building any utilities. In 1948 the village lost about a third of its original size due to the establishment of the state of Israel. In 1953 the truce line created a No Man's Land in that area which meant the expropriation of another third of the villages' lands. After the occupation of 1967 the residents were prevented from accessing their lands located in Al Hara Al Gharbiya. 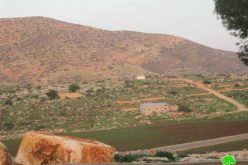 In 1987 the Matiya Yahuda Regional Council established a road in the east of the village which was elongated in 1998 to connect to the colony of Ma'ale Hamisha. In 1998 both the Matiya Yahuda Regional Council and the Israel Land Authority uprooted more than 1,500 olive trees and cut more than 1,500 grape vines and fig trees in the Jeer region of the village. Occupation authorities declared that the region of Al Maraqeeq, located to the east of the village, to be a "Green Area" which meant that the residents of the village cannot use it for either agricultural or building purposes. On the 27th of June 2003, an unknown Israeli authority put marks on the lands of the village pointing to the fact that between 800 to 1000 dunums will be expropriated for the establishment of the Apartheid Wall. 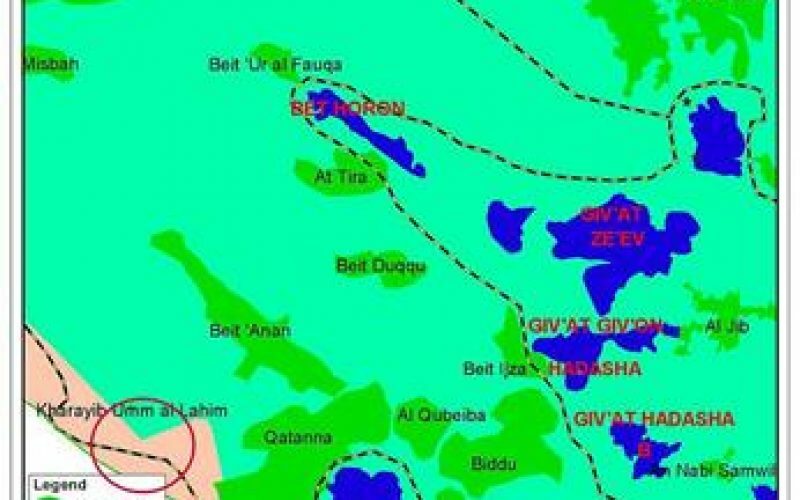 This action is part of a larger scheme to expropriate 7000 dunums from the lands of the villages of Biet Iksa, Beddo, Beit Anan, Al Qabieba, Biet Sureek in addition to the village of Kharrab Al Lahem. 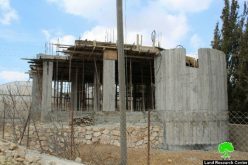 On September 14th, 2003 an Israeli court issued a ruling forcing the seven families to demolish their own homes by themselves otherwise Israeli will demolish it on the owner's expense. Stealing more than 900 dunums in favor of the Apartheid Separation Wall. Taking over hundreds of dunums for the purpose of the expansion of Haradar colony (established on the lands of the village of Biet Sureek) and the colonyof Ma'ale Hamisha (established on the lands of the village of Abu Gush). Depriving the village of its right to its land and its right to meet the ever-growing needs of its residents especially in the building arena. Robbing the residents of the village of their main source of living as it is estimated that more than 450 dunums of the expropriated lands are agricultural in nature. In addition, more 120 dunums of it is planted with olive trees and 80 dunums is planted with orange trees. The eviction order is illegal and the house demolishing policy aims at vacating the lands of its original and rightful owners. Creating a new fact on the ground by realigning the 1948 Truce Line, making it possible to annex the No Man's Land to Israel. The Israeli policies and its actions, including the demolishing and bulldozing of more than 53,000 houses in the Occupied Territories throughout the past three years and the demolishing of 250 houses in Jerusalem in the said period, totally contradicts all treaties, International Law and International Conventions. Such contradiction calls for all states signing and abiding by the articles of these conventions to exert as much pressure as possible on the state of Israel to stop such policies and action taken against the Palestinian people.